Housed at Columbia University’s Institute for the Study of Human Rights, the Alliance for Historical Dialogue and Accountability Program (AHDA) brings together scholars, students, representatives of civil society organizations, journalists, educators and artists, as well as policy makers and others who work on historical dialogue issues in conflict, post-conflict and post-dictatorial societies. These individuals address the political ramifications of the historical legacy of conflicts, as well as the role and impact of the memory of past violence on contemporary politics, society and culture. 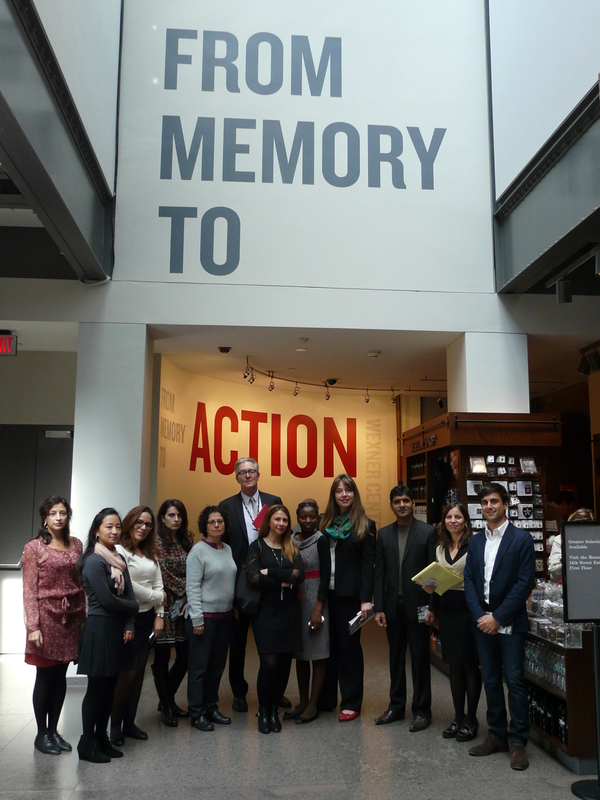 The AHDA program consists of several different initiatives: it houses the Historical Dialogues, Justice and Memory Network, which serves as a resource for scholars, students and practitioners, and seeks to connect individuals working on issues of historical dialogue around the world; the annual conference enables individuals to meet and explore specific questions and themes in depth, and to share research and best practices with other sin the field. Likewise the Center for Human Rights Documentation and Research is a resource for scholars and practitioners who work in historical dialogue. The fellowship program enables a group of practitioners in the field of historical dialogue to come to Columbia for a semester of study, networking, and advocacy. The program is also developing its Historical Dialogue Mapping Project. Finally, the program is host to several developing projects regarding the role of memory, political apologies and other aspects of historical dialogue. Please check out our Memory Studies Bank and our Political Apologies Archive; other projects will be made public shortly!